New results from an investigation into a large glacier in Antarctica and its impact on global sea level rise are published this week in the journal Nature Geoscience. 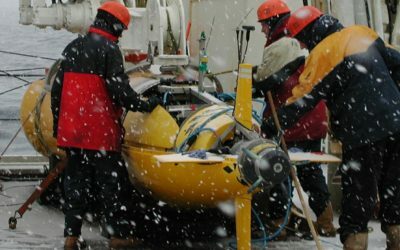 An international team of scientists from Lamont-Doherty Earth Observatory and British Antarctic Survey has discovered that due to an increased volume of warm water reaching the cavity beneath Pine Island Glacier in West Antarctica, it’s melting 50 percent faster than it was 15 years earlier. The glacier is currently sliding into the sea at a rate of four kilometres (2.5 miles) a year, while its ice shelf (the part that floats on the ocean) is melting at about 80 cubic kilometres a year. “More warm water from the deep ocean is entering the cavity beneath the ice shelf, and it is warmest where the ice is thickest,” said lead author, Stan Jacobs, an oceanographer at Columbia University’s Lamont-Doherty Earth Observatory. In 2009, Jacobs and colleagues sailed to the Amundsen Sea aboard the icebreaking ship Nathaniel B. Palmer to study the region’s thinning ice shelves — floating tongues of ice where land bound glaciers meet the sea. One goal was to study oceanic changes near Pine Island Glacier, which they had visited in an earlier trip in 1994. The researchers discovered that melting beneath the ice shelf had risen by about 50 percent. Although regional ocean temperatures had also warmed slightly, by around 0.2 degrees C, that was not enough to account for the jump. The local geology offered one explanation. 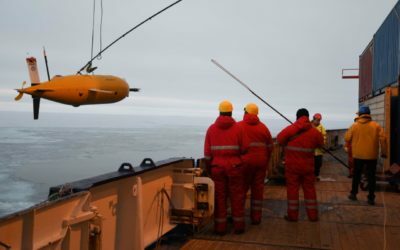 On the same cruise, a group led by Adrian Jenkins, a glaciologist at British Antarctic Survey (BAS) and study co-author, sent an automated submarine called Autosub3 under the ice shelf, which revealed an underwater ridge (mountain) on the sea floor. The team concluded that the ridge had once slowed the glacier like a giant retaining wall. When the receding glacier detached from the ridge, some time before the 1970s, the warm deep water gained access to deeper parts of the glacier. Over time, the inner cavity grew, more warm deep water flowed in, more melt water flowed out, and the ice thinned. With less friction between the ice shelf and seafloor, the landbound glacier behind it accelerated into the sea. Other glaciers in the Amundsen region have also thinned or widened, including Thwaites Glacier and the much larger Getz Ice Shelf. “Our research shows that the glacier melt rate has increased significantly because more warm water is circulating beneath it. It appears that the thinning of the ice shelf that has resulted from the higher melt rates is what has allowed the circulation to strengthen. It’s evidence of a complex feedback between glacier dynamics, seabed topography and ocean circulation that we need to understand if we are to say how Pine Island Glacier will evolve in the future. The study received funding from the US National Science Foundation and the UK National Environment Research Council.  Athena Dinar, Senior PR & Communications Manager, British Antarctic Survey tel. is an AUV (Autonomous Underwater Vehicle), designed, developed and built at the National Oceanography Centre in Southampton with funding from the Natural Environment Research Council. Autosub3 has a maximum range of 400km and is powered by 5,000 ordinary D-cell batteries. The batteries are packed in bundles in pressure-tested housings. Either end of the seven-metre sub there are free-flooding areas where the payload of instruments are installed. It carries a multibeam sonar system that builds up a 3D map of the ice above and the seabed below. It also carries precision instruments for measuring the salinity, temperature, and oxygen concentrations in the sea water within the ice cavity, which are vital to understanding the flow of water within the ice cavity and the rate of melting. Autosub is 7m long and weighs 3.5 tonnes. Travelling at 6km hour it is capable of diving up to 1600m deep, and can operate for 72 hours (400 km) between battery changes. The National Oceanography Centre (NOC), which went live from 1st April 2010, is the UK’s leading institution for coastal and deep ocean research and technology development. A merger between the Natural Environment Research Council-owned elements of the National Oceanography Centre, Southampton, and the Proudman Oceanographic Laboratory in Liverpool, the NOC works closely with Delivery Partners and a network of associate organisations towards more integrated marine research and the provision of the UK’s national capability in marine science. Its hosting partners are the University of Liverpool, where the Proudman Oceanographic Laboratory is based, and the University of Southampton – where researchers at the School of Ocean and Earth Science engage in collaborative research at the Southampton waterfront campus. The National Oceanography Centre is wholly owned by the Natural Environment Research Council (NERC).